The most advanced way to train. 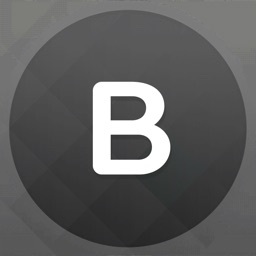 With Bkool ride with up to 100 friends at the same time, wherever they may be. Create and participate on teams and in leagues and rankings. Compete against real or virtual cyclists. 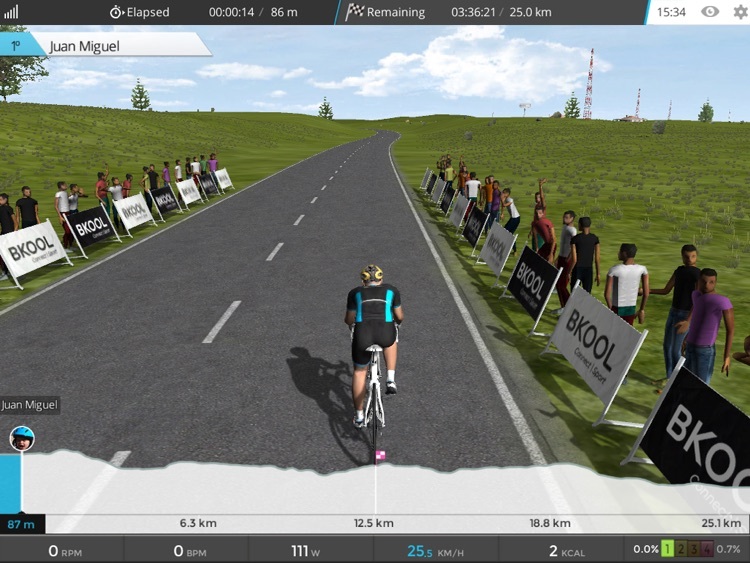 The simulator works with a Bkool trainer, a Wahoo KICKR and compatible ones. 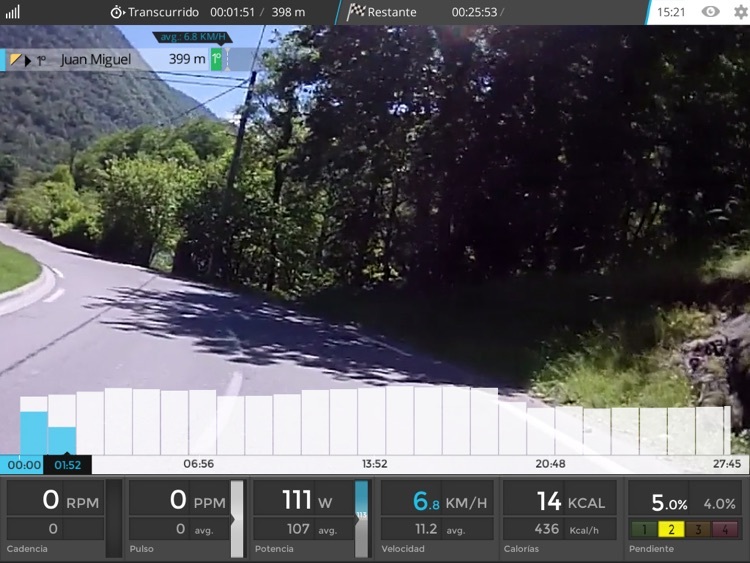 The 3D is created instantly as you pedal, in contrast to others that are recorded and feature limited scenarios. You can cover routes anywhere on Earth, with these reflecting the actual terrain. When you ride at home you'll feel the same as on the road. * 3D WORLD. FIRST TIME IN THE WORLD! : Cover any route on the planet, alone or with up to 100 friends. * OVER 500,000 ROUTES: Choose from thousands of options. * VIDEO ROUTES: Hundreds of video routes to make your session more realistic. 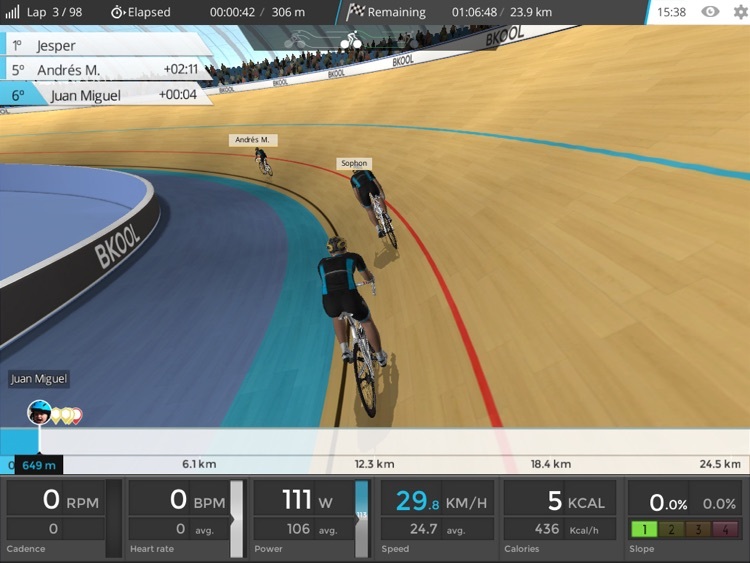 * 3D VELODROME VIEW: Feels like a professional track. 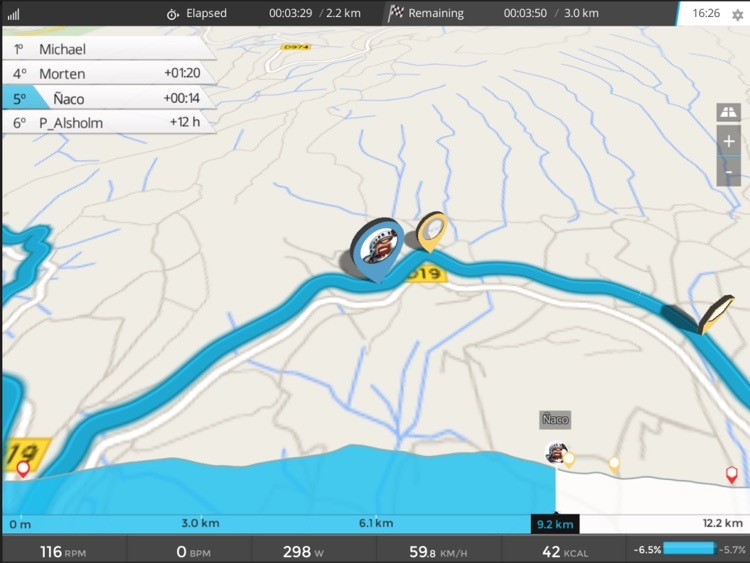 * MAP VIEW: Enjoy GPS sessions, in full detail. Any route in the world. * CUSTOMIZED PLANS: Set your goals. We'll generate your personalized plan so you can track your progress. 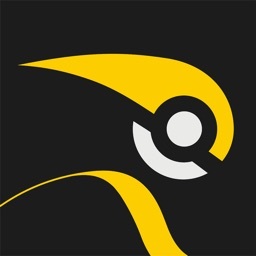 * IMPORT ROUTES: Record your routes with your GPS or mobile, and repeat them at home. With Bkool ride with up to 100 friends at the same time, wherever they may be. * MULTI-PLAYER: Train with up to 100 friends. At home, no matter where they are. Live! * VOICE CHAT. NEW! 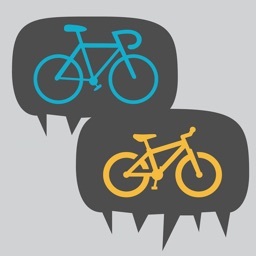 : Speak with your club members or opponents as you ride. * VIDEO ROUTES OF OTHER USERS: Discover new routes recorded by other users. 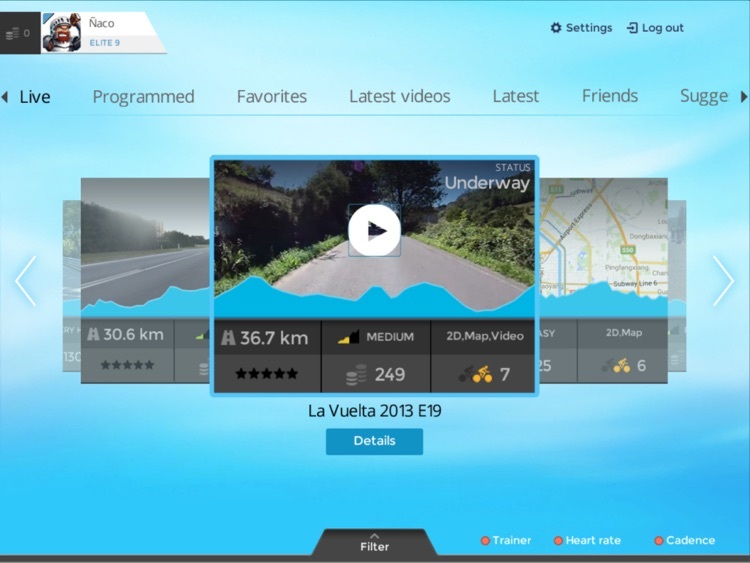 * VIRTUAL SESSIONS: Compete against cyclists located anywhere in the world. 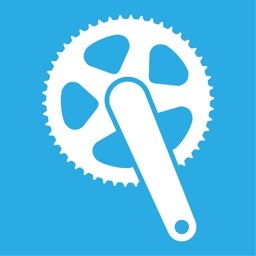 * RANKINGS: Compare your performance by category and country, with other cyclists and friends. * LEAGUES AND GROUPS: Create or participate in sports events. You can train with up to 100 cyclists. 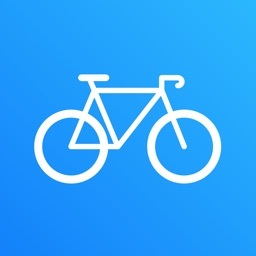 * CHALLENGES: Change your friends or other cyclists. They'll be able to challenge you. * OPPONENTS: Include opponents in your sessions (real, robots, virtual, yourself). Analyze your activity and reach new heights. * TRAINING ZONES: Complex calculations to define your pulse zones and strength, training with greater precision. * STRUCTURED TESTS: Check your physical state to determine your starting point and progress. * EXPORT SESSIONS: Extract your data from Bkool to analyze or share it. * ANALYSIS IN THE CLOUD: Our powerful analytical platform calculates the data from your sessions. * HISTORY IN THE CLOUD: The data is stored indefinitely.